Although gingerbread houses tend to be of the ornate, A-frame cottage variety found in fairy tales like “Hansel and Gretel,” they don’t have to be confined to convention. 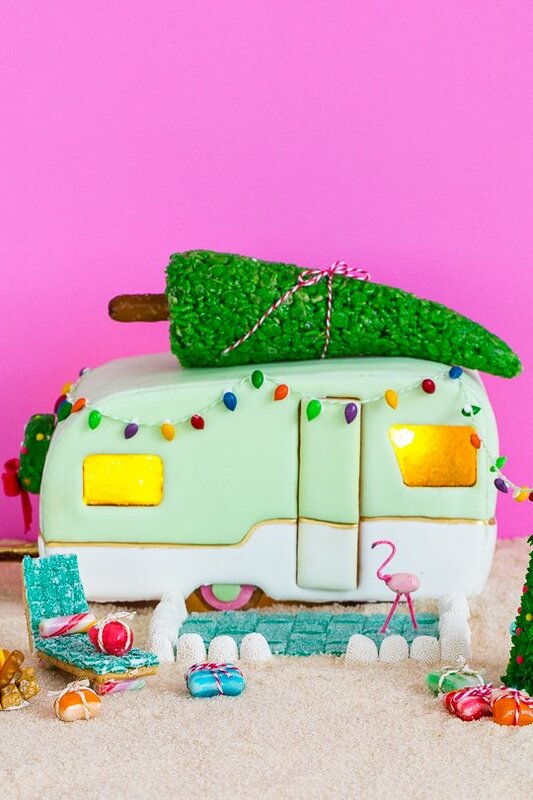 As we’ve discovered, there are many architecturally inspired gingerbread house designs to be found—and quite a few classic Airstreams and campers, too. 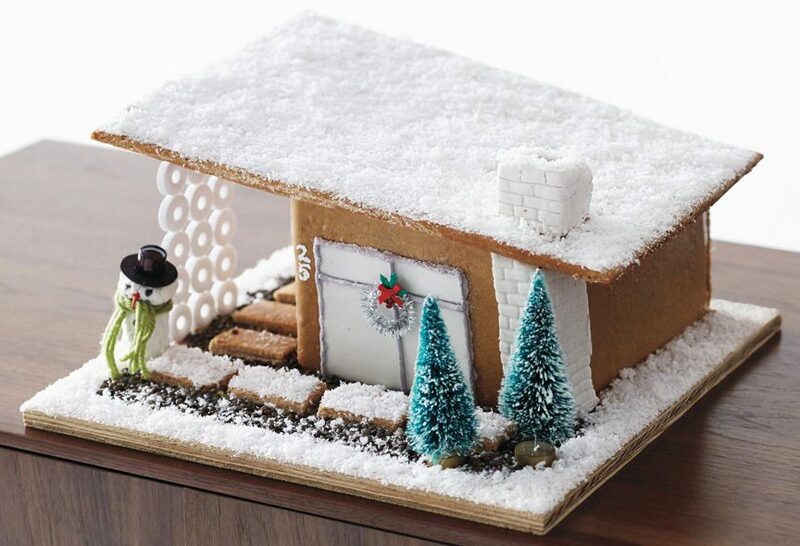 From iconic homes like Frank Lloyd Wright’s Fallingwater to midcentury modern creations, these gingerbread houses are delectable interpretations of architectural history. 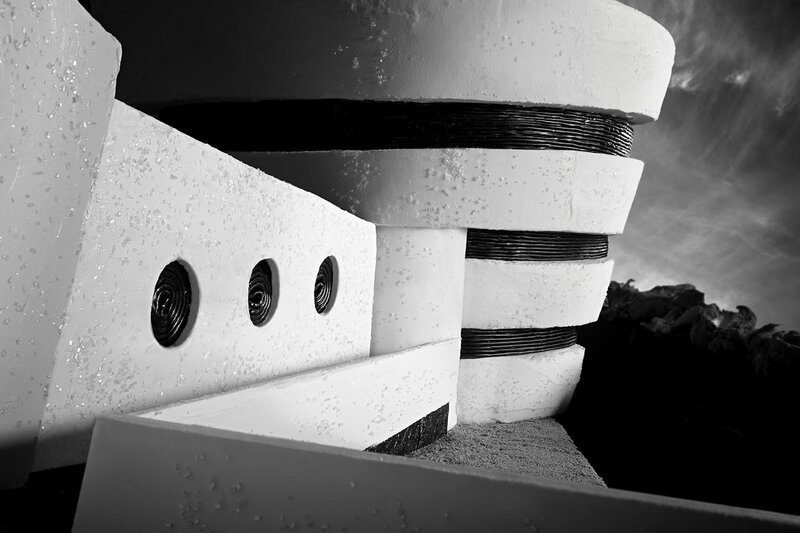 Food artists Caitlin Levin and Henry Hargreaves took gingerbread art to the next level with their rendition of Frank Lloyd Wright’s Guggenheim Museum. 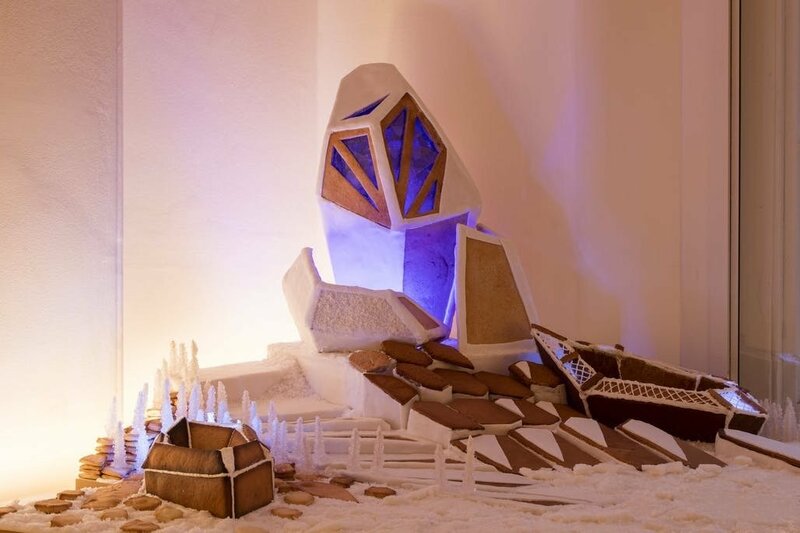 Last year in London, the Museum of Architecture hosted a “Gingerbread City” with over 50 architecture firms participating, including Zaha Hadid Architects, who built this monumental creation. 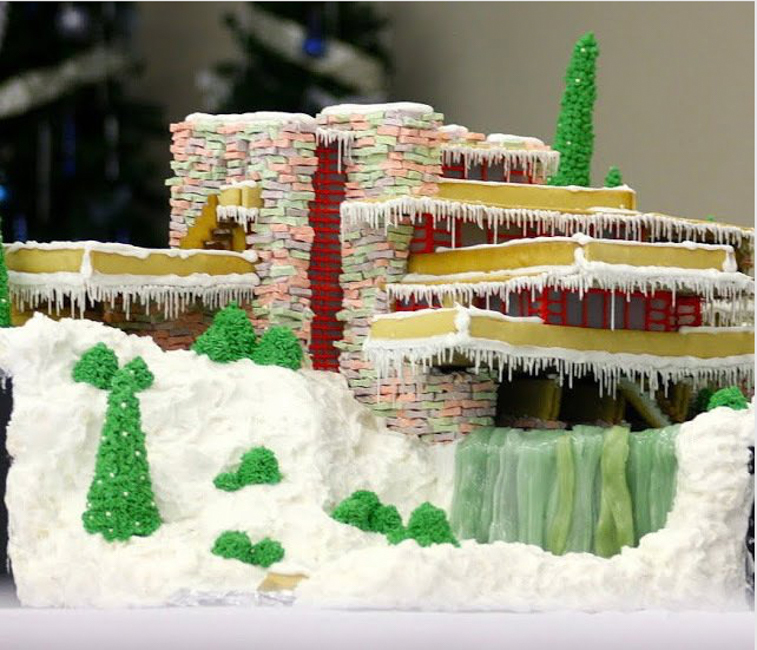 This impressive reproduction of Frank Lloyd Wright’s Fallingwater in gingerbread was a total labor of love, taking over 12 hours to design and 40 hours to build and decorate. The river and waterfall are made up of three batches of hard candy. 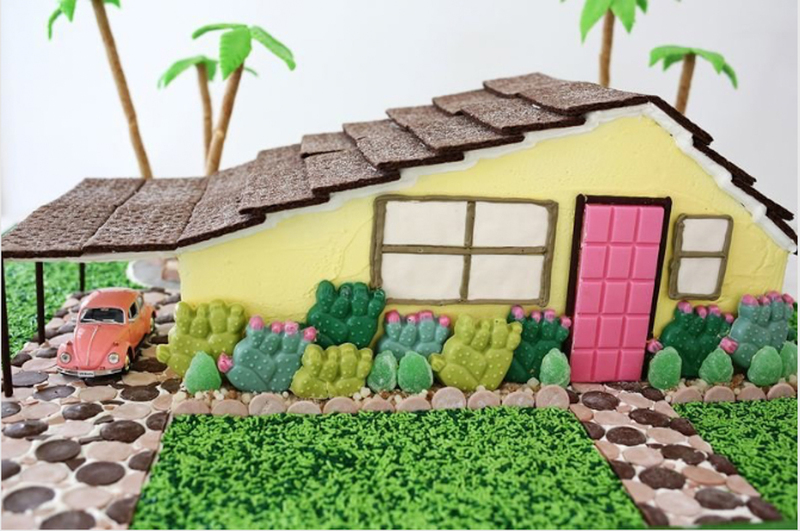 We love this Palm Springs-style gingerbread creation, complete with native drought-resistant plants, a carport, and even a kidney-shaped pool in the rear. Unfortunately, the vintage pink Bug is not edible. This midcentury modern abode comes complete with a recipe and the plans on the DWR blog. 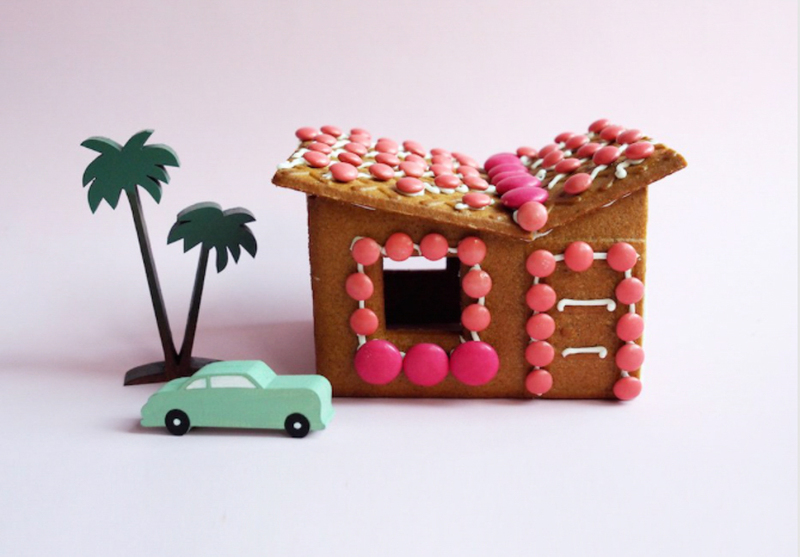 Based in Australia, McKean Studio chose sunny Palm Springs was an obvious source of gingerbread house inspiration. They IKEA-hacked a few prepared kits, modifying the designs to craft three midcentury houses. This retro camper comes complete with a recipe and a tutorial. We love the addition of Christmas decor which includes the vintage-looking lights, a tree on top, and even a little wreath in the back. 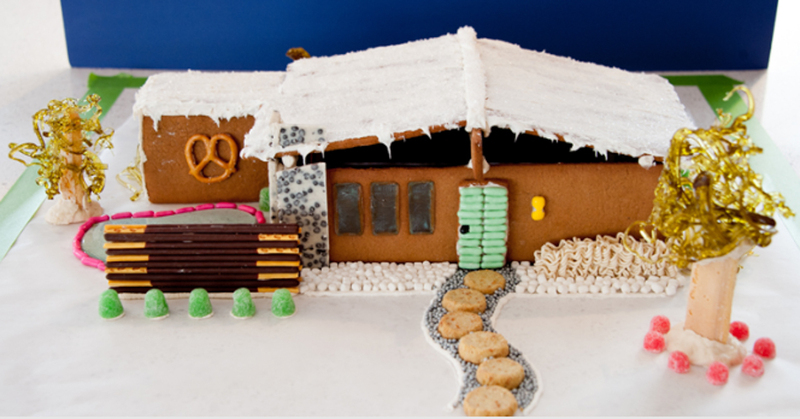 Taking inspiration from a Cliff May Home Tour during Modernism Week, this gingerbread house was inspired by a classic example of his clean, modular architecture. 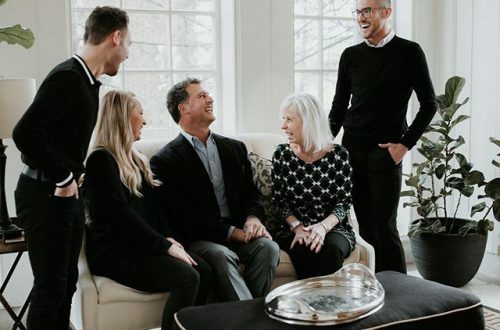 There is even a template you can download to recreate this one at home. Sweet Lisa’s Exquisite Cakes is a bakery in Connecticut that did this amazing gingerbread version of Philip Johnson’s iconic Glass House. 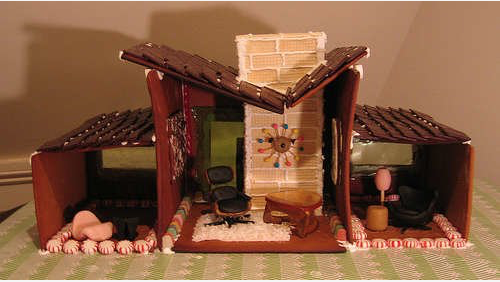 This 1950s-inspired gingerbread house originally found on Flickr is complete with period-appropriate decor that includes a black Eames lounge chair, a Noguchi table, a coconut shag rug, a wafer cookie brick inlay chimney, and a Nelson wall clock to complete the retro look. 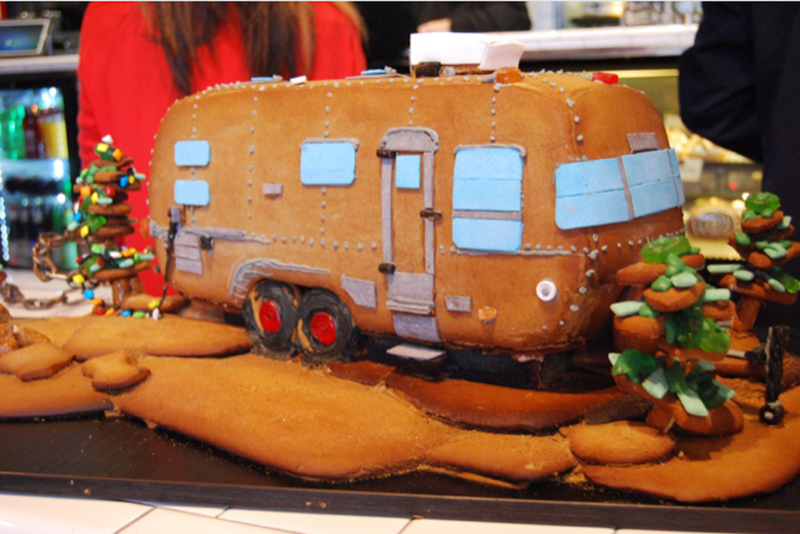 The gorgeousness of this edible Airstream by Black Market Bakery (which has locations in Costa Mesa, Santa Ana, and San Diego) may just inspire you to head out on your own holiday road trip. It even boasts a pretzel-lined campfire in the back. 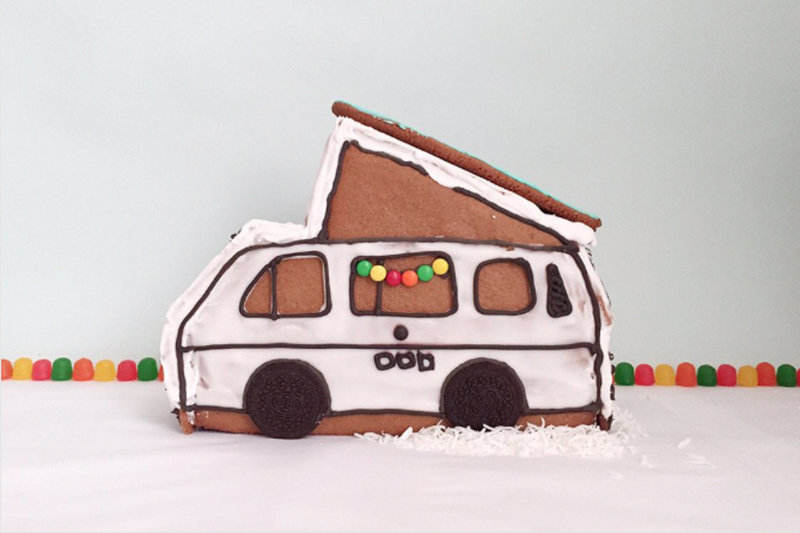 We love this gingerbread version of a camper van. Hipcamp even published the recipe and a DIY tutorial—the best thing is that this is an easy holiday project can be tackled by even the most novice gingerbread builders.